Make a Great First Impression. Learn How to Shake Hands. Cybersecurity attacks are doubling every year. Phishing scams are at an all-time high. These days, it isn’t an IT flunky answering for security breaches, it’s CEOs and business owners, non-tech professionals who need clear, actionable guides and information on how to secure themselves and protect their customer’s data. 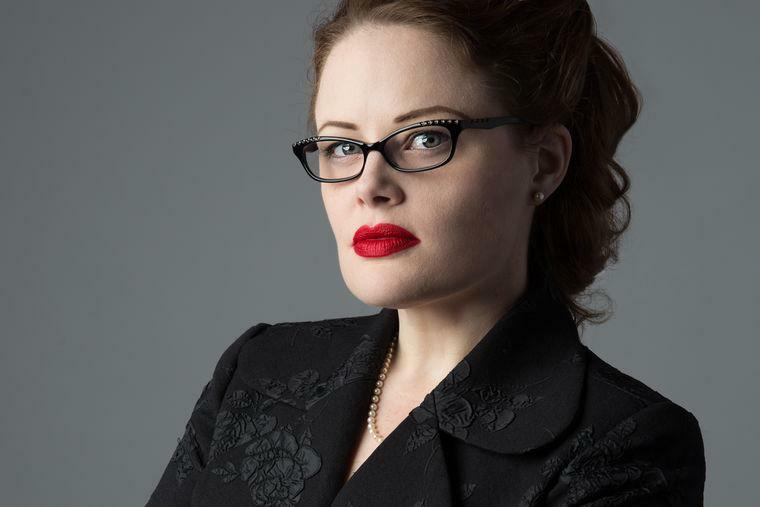 Enter Tarah Wheeler: one of America’s leading cybersecurity experts, as well as lead writer of Women in Tech—called “the essential handbook for women in technology” by Library Journal. Tarah Wheeler was the cybersecurity czar at Symantec—one of the world’s top cybersecurity firms with over $4 billion in sales, and global leader in keeping private citizens and corporations safe from cyber attacks. She is currently the Senior Director of Data Trust and Threat and Vulnerability Management at Splunk; Cybersecurity Policy Fellow at New America; Principal Security Advisor and CEO at cybersecurity firm Red Queen Technologies, and member of the board of Fizzmint, an end-to-end employee management company she founded. She has led projects at Microsoft Game Studios (including the games Halo and Lips) and architected systems at encrypted mobile communications firm Silent Circle. She’s been named the top female cybersecurity influencer in the world by Onalytica. A serial entrepreneur, she’s also a founder of Infosec Unlocked (an initiative to add diversity in Infosec conference speakers), the Women in Tech Council (to increase women’s participation in tech conference speaking), and Hack the People Foundation (a nonprofit mentorship initiative focused on underprivileged people in technology). Wheeler is also the head author of Women In Tech: Take Your Career to The Next Level with Practical Advice and Inspiring Stories. Described as “jam packed with insights from women in the field” by Forbes, Women in Tech helps women of all backgrounds, orientations, and abilities navigate new or ongoing careers in STEM fields—from security to engineering, computer coding to game design. Throughout the book—as in her funny, empowering, and straight-shooting talks—Wheeler is the ideal advocate for fairness, dismantling the most pervasive biases against diverse tech professionals. But she’s also pragmatic, offering invaluable tips for women on salary negotiation, interviews, entrepreneurship, mentorship, and much more. Wheeler holds an MSc from Portland State University, and is a Certified Information Systems Security Professional (CISSP), a Certified Scrum Master (CSM), and a Certified Scrum Developer (CSD). She is also a pre-candidate for a PhD in Complex Systems and Political Science from the University of Michigan and a National Science Foundation Fellow. A Texas holdem poker player, she acquired her startup funds by cleaning out poker rooms in the Northwest and Las Vegas. Despite various noble initiatives designed to inspire girls to seek careers in the STEM fields, women are still vastly outnumbered by men—and the disparity is only getting worse. To Tarah Wheeler, women don’t need more inspiration—they already love science! But they do need help dismantling widespread and insidious discrimination: forces that mean ‘diversity’ looks like one token woman amid scores of men; that mean women make much less than their male peers; and that ensure they rarely ascend to the same level of influence. This isn’t the result of some conspiracy, Tarah Wheeler argues—rather, it’s a larger problem of unconscious social biases that companies rarely confront, and can barely resolve, beyond the safest initiatives. So, in this large-hearted, emboldening talk, Wheeler shows students, professionals, associations, and companies how to fight for meaningful gender equality at work. For women in particular, she outlines tools to succeed where it counts the most: the paycheck. With advice on salary negotiation, when to change careers, how to mentor others or start a business, balance family matters, and even how to best format resumes or ace interviews, Wheeler lays out practical advice for anyone, no matter where they are on the corporate ladder. And, with stories from her own successful career, she explains the many doors in and out of tech: how those in marketing, art, programming, English, mathematics and more can find meaningful work in an enormous industry. It’s time to stop watching women get sidelined, stuck, or overlooked in tech, and time to let them bring their wealth of creativity and innovation to the field—at all levels of influence. Reports of cybersecurity leaks—and major scandals—have dominated headlines for years. But for many of us, protecting information still seems like someone else’s problem—and job. If this sounds familiar, ask yourself: do you have a comprehensive plan in place to protect your most important assets? If something goes wrong, how will you react, put out fires, and recover lost trust? Have you considered the consequences of information falling into the wrong hands in 10, 20, 30, or 40 years? Tarah Wheeler has made a career out of advancing the public’s understanding of cybersecurity. At Symantec, she worked as the principal security advocate and senior director of engineering—and even edited the volume Website Security Threats for Dummies. In this talk, she brings depth, warmth, and sparkling humor to an otherwise complex, but necessary, subject. From learning the fundamentals of cryptocurrency to how the Internet of Things might provide a gateway to hackers, absorbing how a robust cybersecurity plan operates to covering security at live events, Wheeler offers a razor-sharp breakdown of what you need to know—and do—to protect yourself, your partners, and your clients. The World Needs Digital Geneva Conventions. Cybersecurity Expert Tarah Wheeler Explains Why. Cybersecurity is Everyone’s Problem. Tarah Wheeler Equips You With the Tools and Information You Need to Protect Yourself.